Scientists from Peter the Great St. Petersburg Polytechnic University (SPbPU) recently developed a neural network for the 3D printing of metal products. The mathematical modeling necessary for 3D printing requires great computing power, and making calculations for manufacturing even the most basic parts takes weeks, said a representative from the university's Media Center in an interview with Sputnik. Experts state that using neural networks trained with the help of larger number of parameters allows not only obtaining parts faster, but also using the discovered dependencies to manufacture new parts. Neural networks are computing systems used to process large data inputs. University researchers used this method to obtain 3D printing process parameters and ensure the stability of the process. "This was very important for us, since the metal transfer, which takes place in the course of printing parts from wire, is a very complex process characterized by competing physical effects; it has, however, a critical impact on the quality of the printed part," said Oleg Panchenko, Head of the St. Petersburg Polytechnic University's Laboratory of Light Materials and Structures SPbPU. The network was developed in the Mathlab modeling environment. All data was entered manually. There is a special tool for the automatic acquisition of printing process parameters, but so far this data set is being processed offline. The researchers state that next they create an online system based on a neural network that will be learning continuously; the parameters will be added to the system automatically, while their tuning will be taking place in the course of printing. Scientists believe that the new system will improve the quality of the parts and increase the speed of developing process parameters for further manufacturing. Neural networks are computing systems used to process large data inputs. Researchers used this method to obtain 3D printing process parameters and ensure the stability of the process. Today, this neural network is already being used to assess the quality parameters of manufactured parts (for instance, whether the welding process is stable, whether the metal is being melted and transferred correctly and so forth). Moreover, scientists also used this network to develop stable printing modes for manufacturing mastheads. They have already applied for a patent on the new development as their intellectual property. "We are the first to use neural networks in electric arc deposition," Panchenko said, adding that the general trend for using neural networks in various areas will soon find applications in additive manufacturing as well. 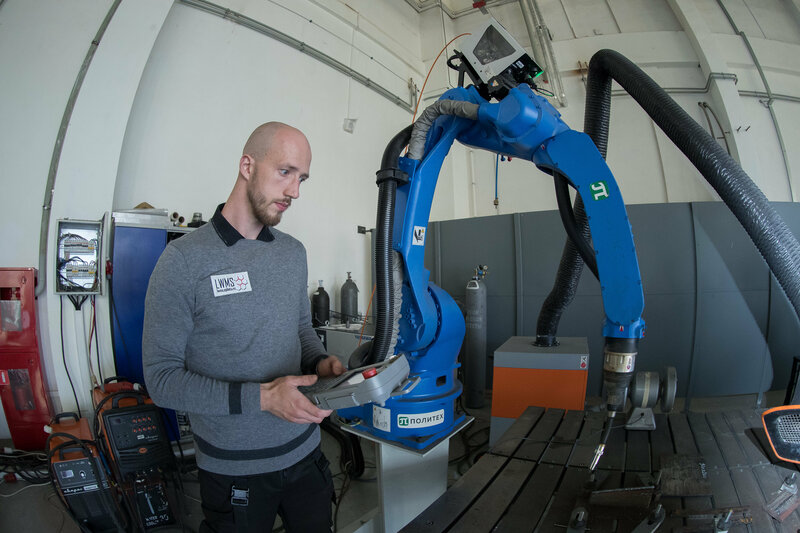 Researchers believe that in the future, the use of similar approaches will allow the creation of fully automated self-learning systems able to continuously improve the quality of manufactured parts without human supervision.